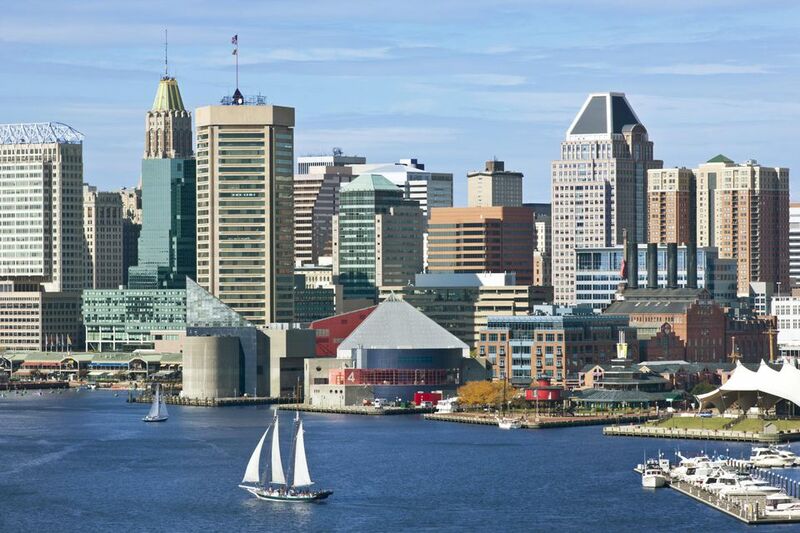 The Inner Harbor in Baltimore is an international tourism destination, so on a nice spring or summer day, it can get overwhelmingly crowded. But parking in the Inner Harbor doesn't have to be a nightmare. With tens of thousands of spaces in garages and on the street in the Inner Harbor and its surrounding neighborhoods, parking generally is a stress-free endeavor. On weekends many garages offer a discounted all-day flat rate of $7-$10. If you're coming in for the evening, remember that some parking garages offer deals after the commuters clear out, usually a flat rate of $5-$7 after 5 p.m. Sunday through Friday. Simply follow the signs advertising these discounts. Small self-pay lots tucked around the waterfront area can be a good deal. These unattended lots usually have a flat rate of $5-7 for the day. Park in a spot, and check the number painted on your spot. Slip your cash in the corresponding slot in a metal box. If saving money is important and your visit is short, street or meter parking may be the right choice. But if getting a parking ticket would absolutely ruin your day or time is short, play it safe and head for a garage. Daily rates range from $10-$25, depending on location and day. A charge for parking, usually at about this daily rate, is also standard at most Inner Harbor and downtown hotels. Most spots on the street are legal for two- or four-hour periods. Be sure to check the meter! Nearby neighborhoods like Little Italy and Federal Hill have two-hour free street parking, but there are restrictions, especially on game days, so read the signs carefully. Traditional coin parking meters are being phased out in areas like Mount Vernon, Harbor East, and Fells Point. Parking kiosks that take coins and credit cards have replaced them. Pay for your time and leave the receipt on your dashboard. When parking near a corner, keep in mind that the nose or rear of your vehicle should not block the sidewalk perpendicular to it. Even if there is no crosswalk or sign, you can be ticketed for parking too close to the corner. If parking seems like too much hassle, public transportation is an option. You can take the light rail from northern and southern suburbs directly to Camden Yards, and the metro subway runs from Owings Mills to downtown. The MARC commuter train's Camden Line runs near the stadium, but it does not run late at night and has a limited weekend schedule. You can also take a water taxi or an old-fashioned land taxi. Keep your sanity - Remember, no matter how bleak it seems at the time, you will find somewhere to park your car. Call or check your destination's Web site for on-site parking or discounts for area garages. Most of the parking at Camden Yards and M&T Bank Stadium is reserved, so if you don't have a parking pass plan to use a garage. The National Aquarium offers a discount off the daily rate at a nearby garage with a coupon downloaded from its Web site. Visitors to Port Discovery can park at the garage for a discount rate on weekends. Many Inner Harbor restaurants offer valet parking, so call ahead to ask.